The site renovations are still going on, but I just wanted to alert you to a bento goods giveaway that will help you stock up for the new school year (or the school term, depending on where you are). Back to school already?! Yep, it seems so. 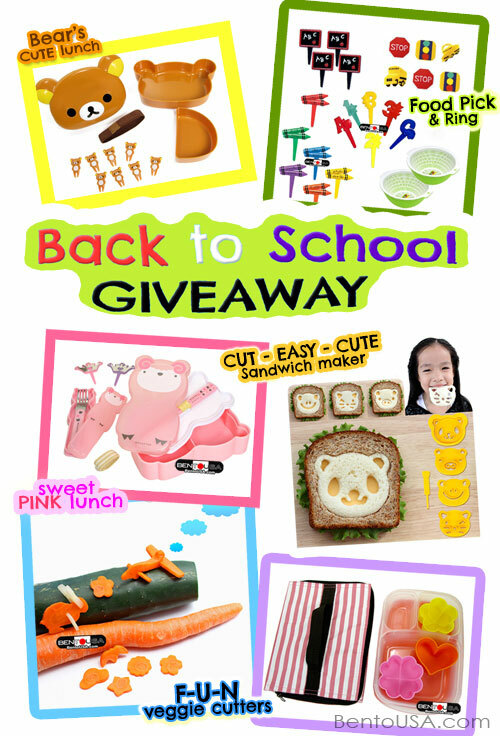 The giveaway is going on at Bento USA / All Things For Sale . Whether you’re contemplating getting into bento making for yourself or your kids, and they have a number of prizes of useful and/or cute bento goods.